Just because you’re paying a low price, don’t expect to get a barebones vehicle. 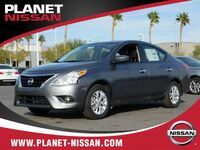 The 2019 Nissan Versa Sedan comes with a standard 7” touchscreen display boasting compatible smartphone connectivity through Apple CarPlay and Android Auto. Other infotainment features include Bluetooth, USB input and a standard rearview monitor. Stepping inside the 2019 Versa Sedan, likely the first impression you’ll receive is the flood of interior space. This is a roomy, comfortable place to spend time. Along with the room, premium textures and available accents convey lush style. Nor does the Versa sacrifice comfort. 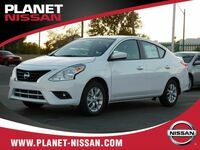 Not only is this generous space great for transporting humans of all sizes, but plenty of cargo can fit as well. 60/40 split rear seatbacks can be employed for helping transport larger items, coupled with the voluminous trunk that, if you’re not careful, could swallow you whole with its 14.9 cu. ft. of cargo space. 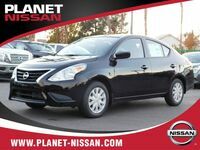 Finally, the 2019 Nissan Versa Sedan’s advanced safety suite will keep you and your ride safe and sound. If something unexpected does come to pass, Nissan Roadside Assistance is valid for 36 months or 36,000 miles. **Comparison of lowest starting MSRP based on 2019 Versa Sedan S vs. all 2016 and later MY vehicles across all AutoPlanner segments currently sold within the US market. Source: AutoPlanner by Chrome Data Solutions, L.P. All prices are Manufacturer's Suggested Retail Price (MSRP). Dealer sets actual price. Based on manufacturers' websites. ***AutoPacific segmentation. 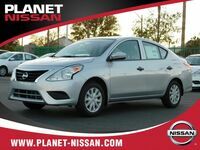 Versa Sedan vs. Economy Compact competitors. Cumulative Sales Data (calendar years 2011 –2017). 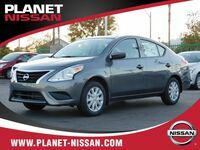 Interested in a 2019 Nissan Versa Sedan?